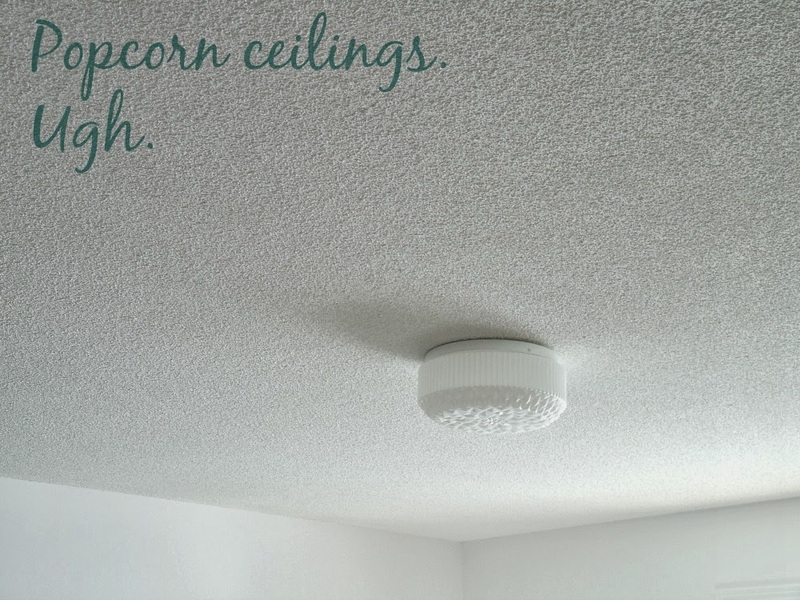 A popcorn ceiling has the texture that makes it appear as if you have popcorn stuck to your ceiling. They are also called acoustic ceiling, and were a feature in almost all building that were built during the ‘70s and ‘80s. During this time, builders used them as a cost cutting technique because they save the cost of smoothing a ceiling. They look great if they are painted with the right color combinations. An important fact to know before a painter begins painting is that this type of ceiling will be a large paint splash, splatter, and drip experience as paint is going to come down in all directions. Try to remove as much of the furniture as you can from the room and cover the rest with plastic sheets. Cover the floors with drop cloths too so you do not have to scrub the floor after the paint job is done. To avoid painting the light fixtures removed them if possible. Pack them safely in a box until the paint has dried. Take a duster and gently clean the ceiling being careful not to dislodge the texture. In addition to taking precautions with the floor and furniture to keep them paint free, the painters need to wear older clothes that do not matter if they become paint splattered and wear eye protection. If you are going to paint the walls also you should paint the ceiling first. If you are not painting the walls you have to make sure that you do not get the ceiling paint on them. It is recommended that a painter use a flat sheen color on the ceiling unless you live in a coastal area with high humidity. In this case, you should use a semi-gloss. The better quality of paint that is used the fewer number of coats of paint will be needed. Acrylic paint is dense. It should not be applied directly on the popcorn ceiling. Dense paint could possibly rip the popcorn texture off. You should dilute the paint up to twenty percent. You can use water to thin the paint. One thing important to remember is that it is necessary for the texture of the ceiling to soak in the paint. As the painter, you will need to experiment to find the right combination so the paint is not too thick or thin. It normally takes about a half quarter of water for each gallon of paint for the right combination. You can either spray or roll the paint on the popcorn ceiling. Spraying will require two coats with an hour between each coat. Rolling the paint on is more labor intensive.